This follows increases of 2% in June, 23% in May and 29% in April. During July a total of 896 contracts or the sale of residential and commercial properties and land (building plots and fields) were deposited at Land Registry offices across Cyprus, compared with the 758 deposited in July 2017. Of the 896 contracts deposited, 426 (48.7%) were for properties purchased by non-Cypriots. Sales rose in all districts. In percentage terms Nicosia led the way with sales rising by 42% followed by Paphos, where sales rose by 27% and Limassol, where sales rose 17%. Sales in Larnaca and Famagusta rose by 9% and 3% respectively. During the first seven months of 2018 the number of contracts for the sale of property deposited at Land Registry offices has risen 23% to 5,366 compared to the 4,349 deposited during corresponding period of last year. In percentage terms Famagusta saw the highest increase in the number of sales – up by 56%, followed by Nicosia (the capital) with a 36% increase. Increases of 23%, 17% and 9% were recorded in Limassol, Paphos, and Larnaca respectively. 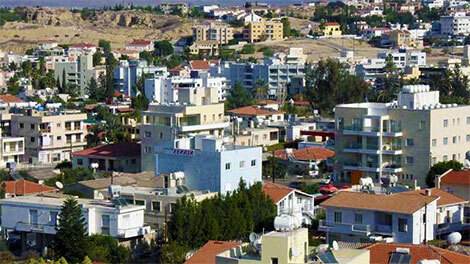 The Land Registry figures reveal that a total of 426 property sale contracts were deposited by non-Cypriots during July 2018. Of those 150 were deposited by EU citizens and the remaining 276 by non-EU citizens, but we cannot quantify the number of non-EU citizens who bought property with a view to applying for citizenship. Paphos remained the most popular district with the overseas market with the number of property sales contracts deposited reaching 171. Limassol recorded 120, Larnaca 71, Famagusta 43 and Nicosia 21. During the first seven months of 2018, a total of 2,613 property sales contracts were deposited by overseas buyers, with 815 deposited by EU nationals and 1,798 by non-EU nationals. Paphos maintains its position as the most popular spot for overseas buyers with sale contracts reaching 1,020, followed by Limassol with 785, Larnaca with 399, Famagusta with 269 and Nicosia with 140. Well I agree with Deanna below, seems like Cyprus interests people because of passport and bonuses it gives to its holders. On the other hand Tranio has so much information on different properties you can buy in Cyprus and how much profit it can bring you. Nothing to be proud of when the lure is selling-off EU membership via passport.